An Restore America Estuaries-led (RAE) initiative aimed at creating greenhouse gas offset opportunities for coastal wetlands received approval under the Verified Carbon Standard (VCS) today, paving the way for increased private investment in wetland restoration and conservation projects through the issuance of internationally recognized carbon credits. The new VCS requirements for Wetlands Restoration and Conservation (WRC) create a project category for measuring and crediting climate benefits from a broad range of wetlands, including mangroves, freshwater tidal coastal wetlands, salt marshes, seagrasses, floodplains, peatlands, and other wetland types. The importance of the VCS wetland carbon credit registry cannot be overstated, according to Patrick Megonigal,Senior Scientist and Deputy Director, Smithsonian Environmental Research Center. “This is the first carbon-crediting standard to advance conservation and restoration across the full diversity of the world’s wetlands,” said Megonigal. “We hope that by adopting wetlands under the VCS Standard, wetland conservation and restoration activities will be stimulated,” added Stephen Crooks, Climate Change Services Director at ESA PWA, an environmental consulting group. “Preserving and restoring some of America’s most threatened ecosystems—tidal wetlands—may be among the best ways of mitigating greenhouse emissions that fuel global warming and climate change,” said Jeff Benoit, President and CEO of Restore America’s Estuaries. 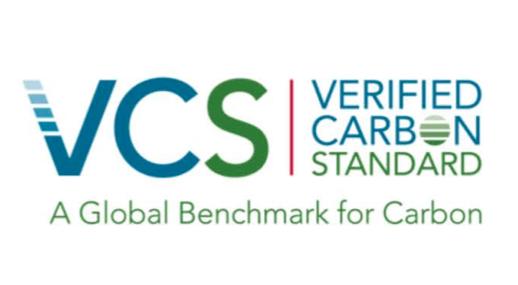 VCS is the leader in the voluntary carbon market with a 58 percent global and U.S. share. It is considered by many market and policy professionals as the most sought-after certification in the world today. New research indicates that tidal wetlands are efficient carbon sinks for greenhouse gases (GHG). This makes coastal restoration, adaptation, and mitigation essential elements in government planning and policy, and has profound ramifications and opportunities for commercial investments in domestic and international carbon markets. Carbon dioxide, nitrous oxide, and methane are potent greenhouse gases (GHG), which contribute to climate change. Research focusing on “Blue Carbon” in coastal wetland ecosystems suggests that coastal wetlands sequester carbon at rates 3-5 times greater than temperate forests, making them important carbon “sinks,” as world temperatures and sea levels rise. Tragically, coastal wetlands are being lost globally at an unsustainable rate estimated at one to three percent per year. VCS Wetlands Technical Working Group contributors include: Steve Emmett-Mattox (Lead Coordinator), Restore America’s Estuaries; Dr. Igino Emmer (Lead Author), Silvestrum; Carolyn Ching, VCS Association; Dr. Stephen Crooks, ESA PWA; Dr. Boone Kauffman, U.S. Forest Service; and Dr. Patrick Megonigal, Smithsonian Environmental Research Center. Funding was provided by KBR, GenOn, Maryland Department of Natural Resources Power Plant Research Program, America’s WETLAND Foundation, ConocoPhillips, and Entergy. Restore America’s Estuaries (www.estuaries.org) is a national alliance of 10 regional, coastal conservation organizations with more than 290,000 volunteer-members dedicated to preserving our nation’s estuaries. RAE members include: American Littoral Society, Chesapeake Bay Foundation, Conservation Law Foundation, Coalition to Restore Coastal Louisiana, Galveston Bay Foundation, North Carolina Coastal Federation, Save The Bay-Narragansett Bay, Save The Bay-San Francisco, Save the Sound, a program of the Connecticut Fund for the Environment, and Tampa Bay Watch.